The offer of all-inclusive resorts in Negril is huge and diverse. Whatever kind of hotel you are looking for, you will find it. From budget to luxury, from Adult-only to Family friendly properties. 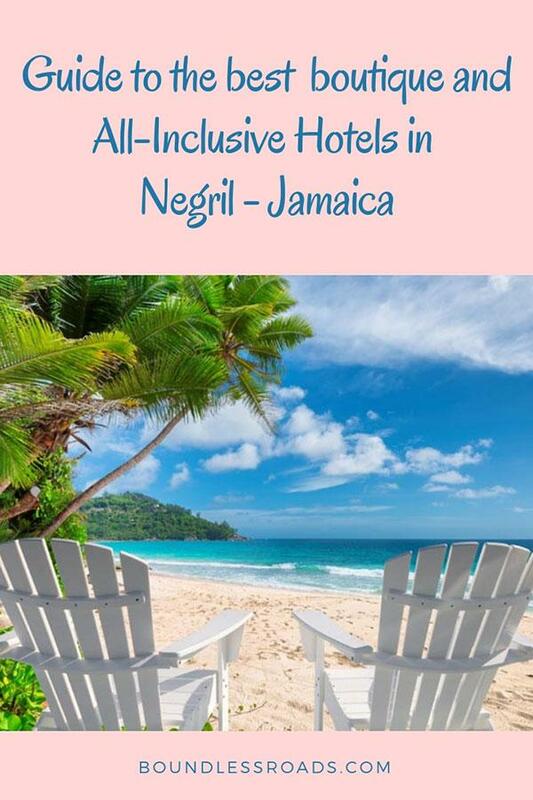 I am happy to share my most sincere review of all Negril all-inclusive resorts and small hotels. For easier reading, I have split them into different categories according to the type of hotel and location. Couples Swept Away Negril is actually my top favorite among the all-inclusive resorts in Negril Jamaica. I have stayed a few times and spent all my free time in its gym when I was living and working in Jamaica. And although I am not a fan of all-inclusive hotels I reckon Couples Swept Away Negril is one of a kind, a true gem. You have a variety of room types you can choose from, the oldest one, my favorite are more rustic in a way and don’t have TV but are the cutest, with spacious terraces and blue-tiled large bathrooms. The new modern ones are lovely too, and fully equipped but to me, they don’t have the same charm. You have a variety of restaurants to chose from, and you will have drinks and food available all day and almost all night. For the health-conscious travelers, they are all set too, with the health bar and the variety of healthy dishes you can find. 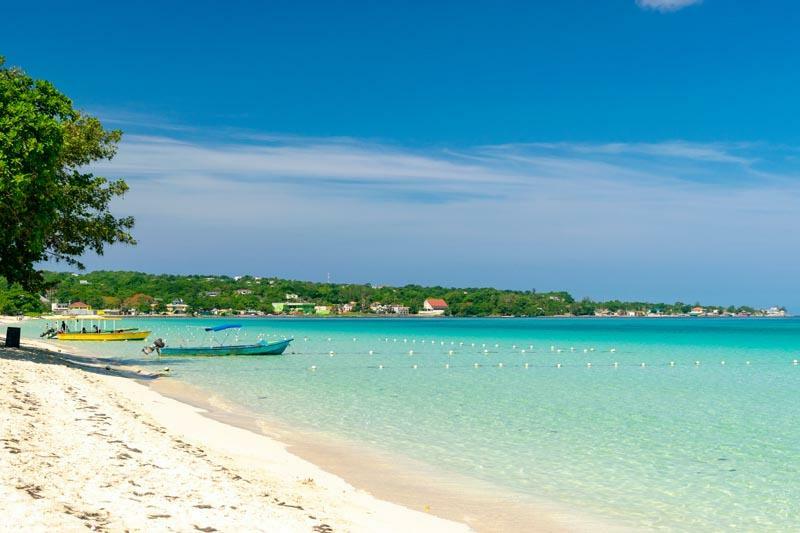 The hotel is located on one of the best stretches of the 7 miles beach in Negril, spacious and with easy access to the water. You will have an abundance of beach chairs and watersport activities to chose from, and if you are certified you can also enjoy free diving. My favorite perk is the Sport Complex located at the back of the reception area. It’s a huge space with a fully equipped open-air gym, with an instructor always available to give you tips, a yoga shala for yoga and other group classes, two squash rooms and a semi-professional pool where you can either swim or enjoy Acqua gym classes, a bar, steam rooms, jacuzzi and a spa. The only problem with Couples Swept Away Negril is that you will never want to leave. The three hotels that I will be talking about here below all belong to the same Hotel chain Royalton Resorts. Where they have been built there was one hotel called Grand Lido Negril, which was one of the most prestigious hotels in Negril from the Superclub resorts group. 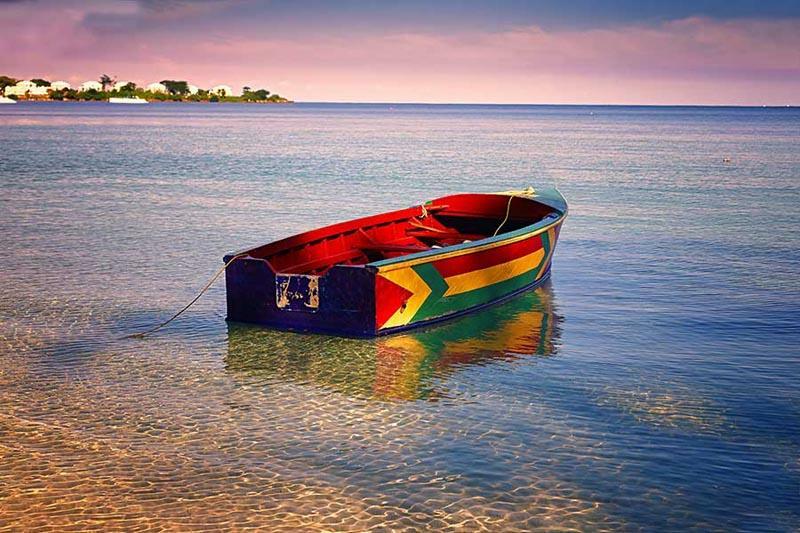 However, already at the time when I was living in Jamaica, it needed some facelift as it looked really old and tired and it was losing its appeal. Well, the Royalton group stepped in with a very forward-thinking project. They not only gave the old hotel a facelift, but they demolished it completely and like a Fenice from its ashes, three spectacular hotels have been built upon that same spectacular beach. One of the hotels still conserves the old name and one of the particular feature of the previous property which was an au-naturel beach. I haven’t personally seen the new properties but I have visited and stayed in other resorts from the group and as far as I can see from the picture they have definitely outdone themselves. From the room to the restaurants, the spa and all the public areas have been built in the name of elegance, and luxury. Everything with the purpose of spoiling their guests and making it the lifetime vacation. Knowing them, I am sure the service will also be up to their standard. The Grand Lido Au Naturel is reserved for those who desire a more “liberated” holiday experience. The Hideaway at Royalton is dedicated to adults only vacation for those in search for peace and tranquillity. I have stayed at Azul Beach Resort when it was just opening and not completely done and it was amazing already. I can imagine now that it’s 100% functioning. I loved especially the room interior decor and the little cafe’ at the reception. The food is over the top and the attention to the guest exceptional. It’s certainly an option that I would consider. This little gem is the perfect compromise for those, like me who don’t like to stay in a huge property but would like all the perks of the all-inclusive deal. It’s more a boutique hotel, located on the spectacular 7 miles beach in Negril. If you want to get the best of your experience book the beachfront suite, with spectacular views over the Caribbean sea. The small hotel offers exceptional service, one beach restaurant for lunch and breakfast and one elegant indoor restaurant for dinner. The rooms are minimal and modern with a Jamaican touch in the decoration. The garden is impeccable. You can choose the Room only option and try the different restaurants on the Negril beach. Among all the Jamaican boutique hotels this is one of my favorites. 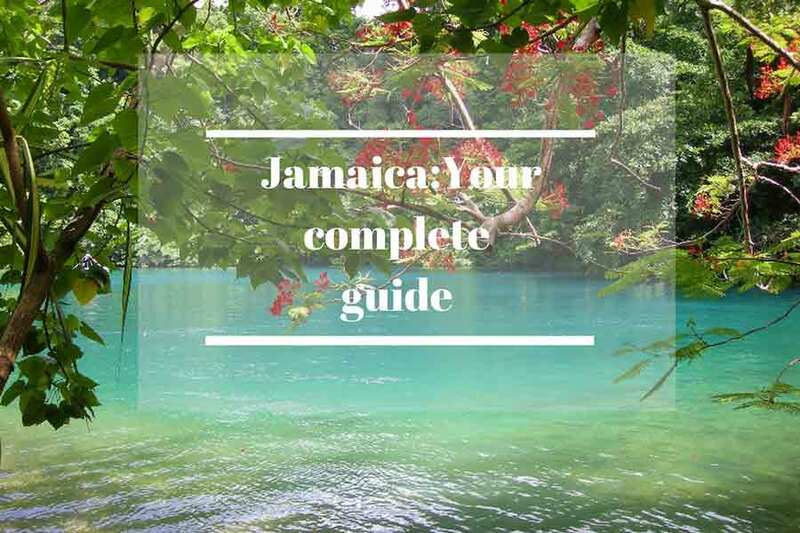 In fact, I have included it in my Jamaican luxury hotels post that you can read here. 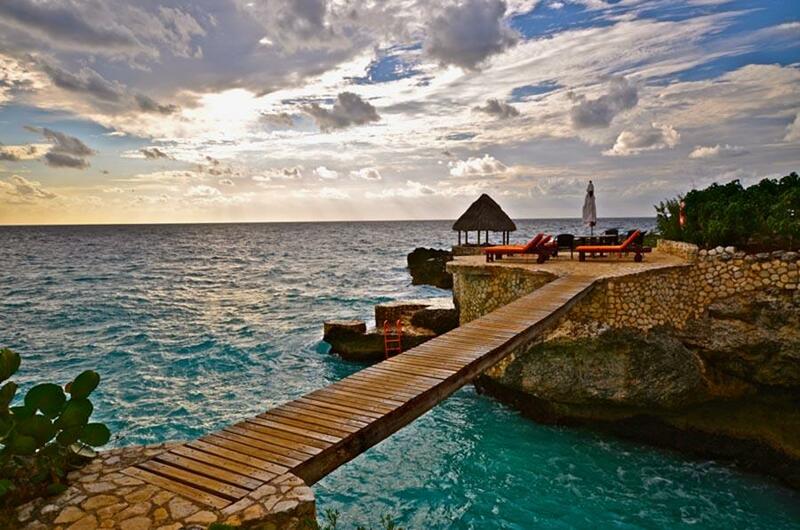 It’s located on the west end, Negril, over a cliff with spectacular views of the Caribbean sea and amazing sunsets. The stone-made private cottages are decorated with different themes from all over the world, with the beautiful taste of the well-traveled owner. The hotel is popular for the privacy that its guests can enjoy, tucked away from the busier beach. The restaurants offer international cuisine on an all-inclusive basis. In Negril, there are two hotels of the same Spanish chain. Riu Negril is the biggest one and also the cheapest. Also, the stretch of beach where it stands is not the best beach in Negril. On the contrary, its sister property, Riu Tropical Bay has gone through tremendous renovations so as to align with the “Palace” brand standard of the same group. It’s in fact more stylish with a fancy modern and fresh look, both in the rooms and the public areas. I hope the dining has improved as well, but on this, I cannot guarantee that since I haven’t tried it after the new facelift. This is my favorite among the middle range priced all-inclusive properties in Negril. 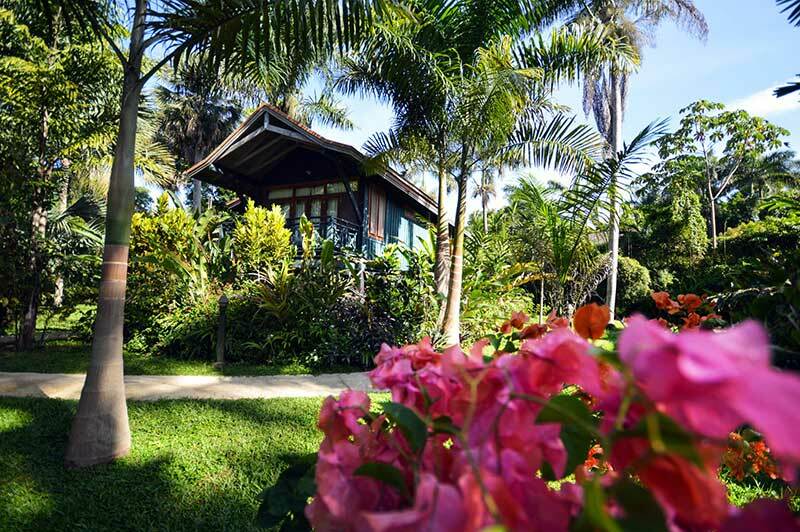 The cozy rooms in wooden casitas are scattered around an immaculate garden to guarantee peace and tranquility. The fact that is an Adult only resort also helps to make it a rejuvenating retreat for the mind and soul. 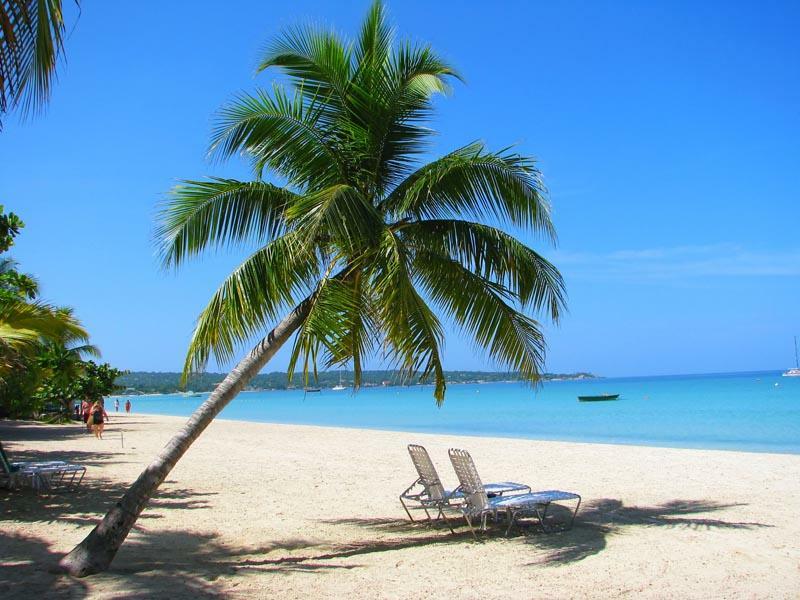 You can also enjoy a spa, a small gym, and a watersport equipped beach, on the bloody bay area in Negril. Although it’s not as pretentious as its sister property Couples Swept Away, Couples Negril won’t disappoint you either. This property is a little smaller and intimate than Swept Away and it doesn’t have the same Sport complex although the guests can still enjoy the facilities. The food is also delicious and the 5 restaurants offer a rich and diverse choice of local and international dishes, including veggie friendly healthy choice. Besides some of the room include in-suite dining. The stretch of beach along the hotel building is spectacular and a number of watersports are included to keep you busy during your stay. Needless to say Couples resorts are only for adult couples. If you are an adult single you might send your request as well. No kids are allowed. 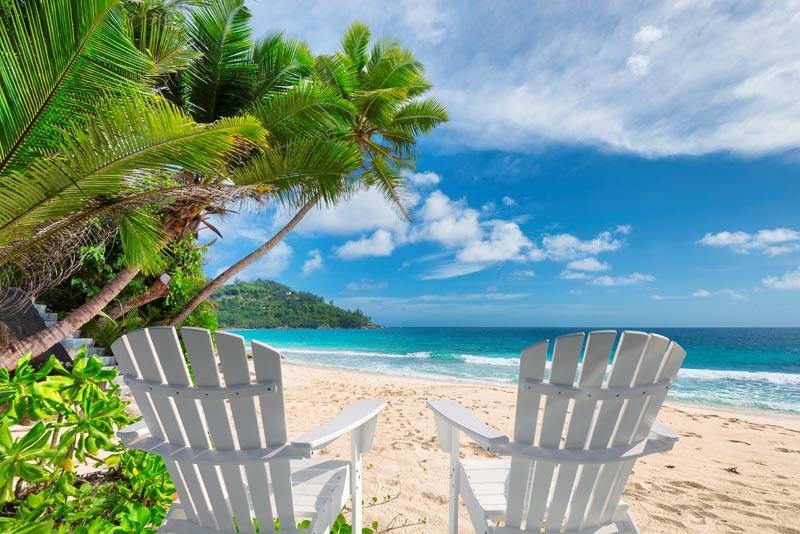 I am not particularly fond of Sandals Resorts, I have to say, but I reckon that they have reached a huge success in hospitality and many people love them so I have included it on my list, anyway. Sandals Negril is an Adult only hotel and they don’ t accept kids. However the sister property Beaches Negril resort and spa, here below mentioned does. So depending on who you are traveling with, if you wish to stay on a Sandals Resort you can pick the perfect property for you. The hotel is totally all-inclusive, but WIFI comes at an Extra cost and tours as well. If you are a proved certified divers, you also have included DIVING, according to availability. If you are a Sandals Affectionate but you are traveling with kids, this is the hotel for you. Beaches Negril not only accepts kids but also offer a great choice of kids facilities. It’s actually a hotel for kids, accompanied by Adults :). Just kidding, but you know what I mean. Kids will have the time of their life for sure. Please mind though, that although I have included Beaches in the middle range hotels in Negril, their costs are pretty high. If you are looking for a cozy intimate place, and yet enjoy the all-inclusive option, Charela in is your choice for sure. 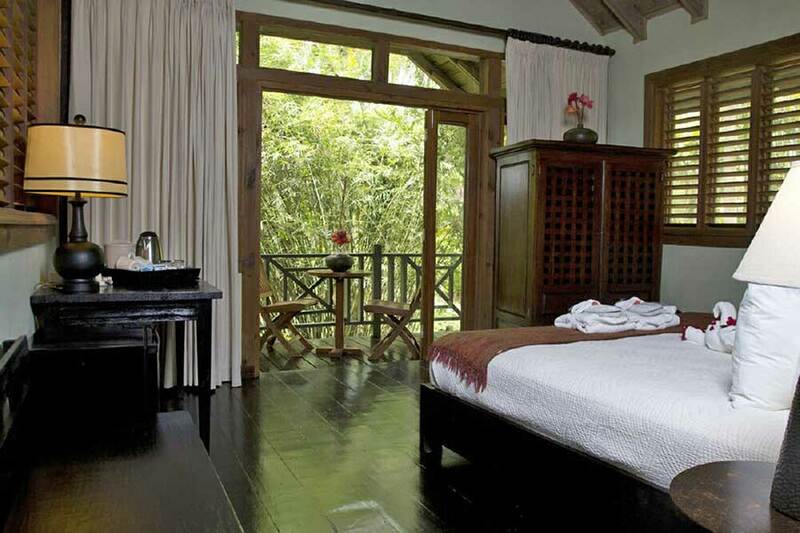 I loved the rooms, nicely and yet simply decorated with bamboo trees furniture and four-poster beds. You have a choice between garden view and ocean facing rooms. The hotel lay on a spectacular stretch of beach on the Negril seven miles beach and guests can enjoy the hotel lounges and parasols. Dining is great as well as many tourists come from other hotels to enjoy their local cuisine. Some nights are delighted by local singers who come to perform at the hotel for your entertainment. In terms of pricing, the hotel definitely offers a great value for money. OK, here I need to warn you. If you want at all costs an all-inclusive and you need to stay on a low budget, these are the only options and you really need to go with zero expectation. The old saying “what you pay is what you get” is real. Among all of them, Legends and Samsara are the cutest and the best value for money. But I would list all the cheap all inclusive available for the sake of information. OK, here I need to warn you. 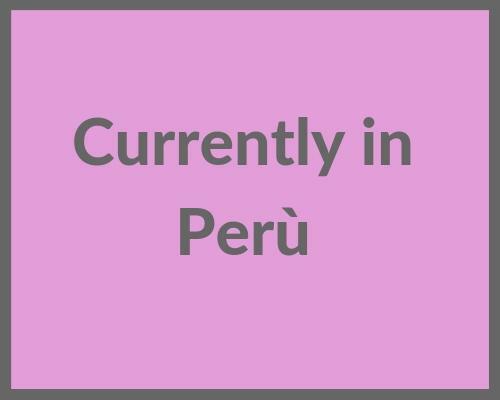 If you want at all costs an all-inclusive and you need to stay on a low budget, these are the only options and you really need to go with zero expectation. The old saying “what you pay is what you get” is real. Among all of them, Legends and Samsara are the cutest and with great food, the best value for money, I would say. But I would list all the cheap all inclusive available for the sake of information. Samsara and Legends belong to the same family, which I personally know and I can guarantee about all the love and dedication they put in their properties. 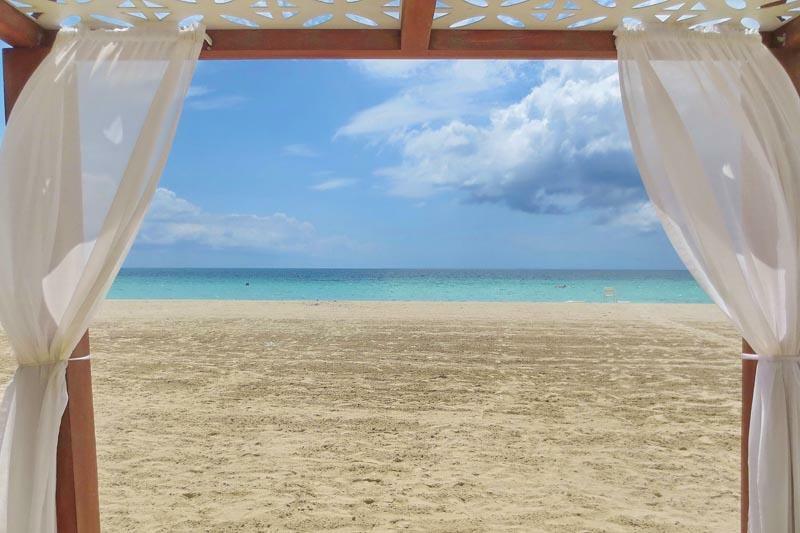 Samsara is their beach hotel, located at the beginning of the spectacular 7 miles beach of Negril. The rooms are located both on the beach side and on the garden side on the other side of the road, further from the beach but also in a quieter area. The restaurant for your breakfast lunch and dinner is on the beach with spectacular views and delicious food and cocktails. You can also opt of Room only option if you wish to try the variety of restaurants located in the nearby area either on the beach or on the road. The rooms are simple but cozy. Great value for money. 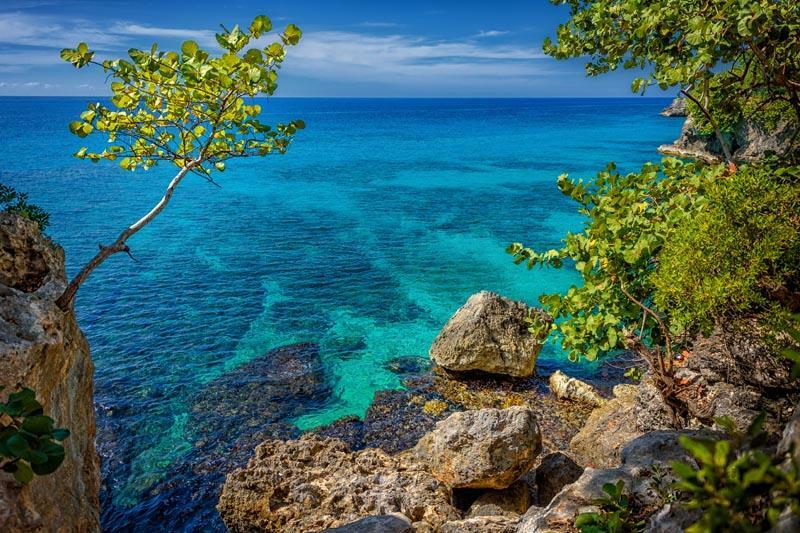 Legend is the Sister property of Samsara and it’s located on the cliff of the west end area of Negril, where you can enjoy spectacular views and breathtaking sunsets. The cute little hotel boasts cozy rooms and delicious dining, besides the exceptional service of Jamaican hospitality. On the opposite side of the road, you can also enjoy their latest addition, the Italian/Jamaican restaurant Ciao Jamaica. Well, if you are really traveling on a budget, and you usually stay in the cheapest hostels you can find, this hotel might suit you well. To say it’s very simple it’s a euphemism. 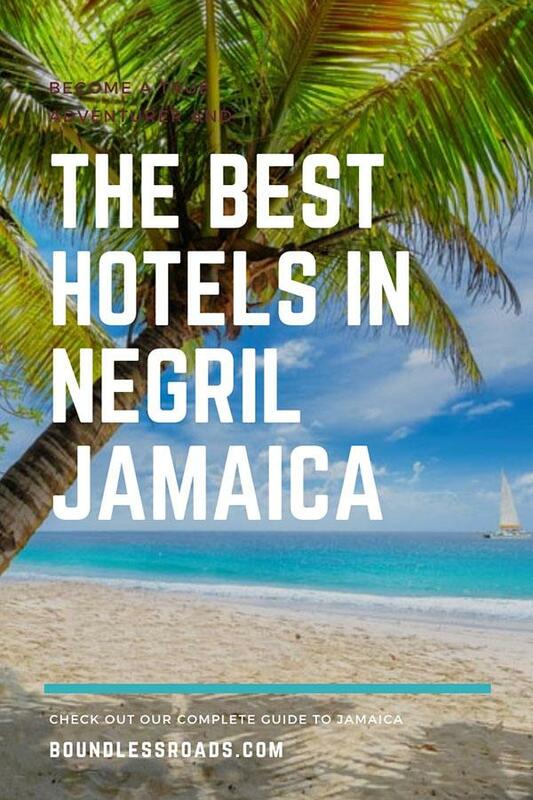 It’s probably the cheapest all inclusive (and not all inclusive) hotel in Negril and for a reason. 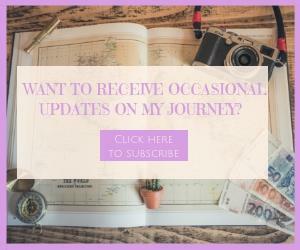 So if you are a sophisticated traveler you may want to raise your budget up to your expectations. Merril’s III belong to the family of Merril’s Hotels, they are 3 hotels under the same property. They are among the cheapest all-inclusive options and if you don’t have expectations you can have a nice stay. When I was living in Jamaica I had many clients staying there, some were happy, some disappointed. It all depends on what are your standards and expectations, always. If you are used to a fancier kind accommodation and fine dining you definitely need to choose a different and more expensive property. 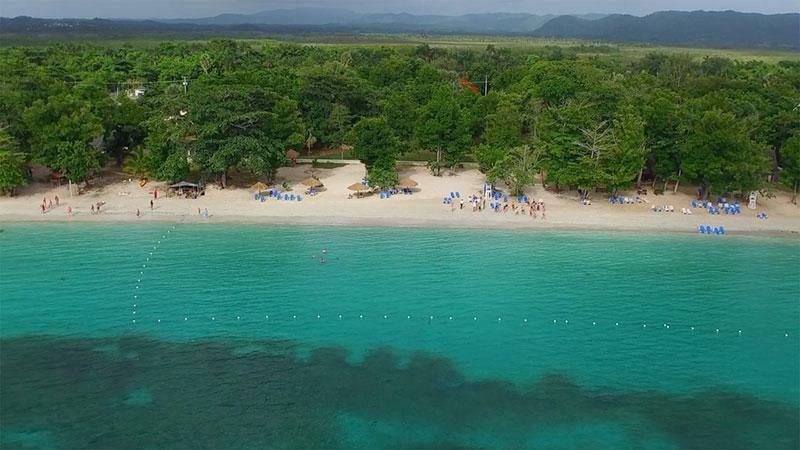 If food variety and quality is not important and you just want to enjoy the beach and the local vibes, you can certainly have a good time at Merril’s. 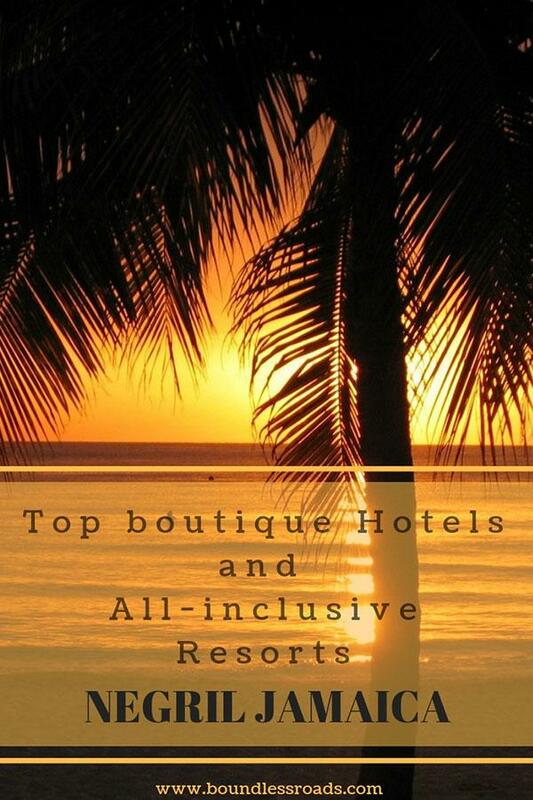 This is one of my favorite boutique hotels on the beach. Cozy and elegant and right on the beach. The rooms are spacious and finely decorated. Not surprisingly the hotel belong to the same owner of the Couples Swept Away, and you can tell. I have booked the Rondel Village for a friend of mine who traveled to Jamaica one summer with her husband and kids. They had the time of their life. The hotel is simple but cozy. The rooms either on the ground or upper floors are scattered around a lush garden. A few of them overlooking the beach. The new rooms are located on the other side of the road but still very close. The restaurant, on the beach, is also quite popular in Negril. I used to eat there when I spent my days off on the beach when I was living in Negril. I had included this hotel in the middle range all-inclusive hotels in Negril section but it can also be booked as a room only option and then you can experiment with the various local restaurants available in the surrounding. Here is a guide to the restaurants in Negril. Negril Palms is also a great option if you, like me, love boutique hotels without having to splurge. The rooms are nicely decorated with whitewashed walls, wood furniture, and local art. The restaurant on the beach offers great dining options as well if you don’t feel like exploring around for food. This hotel has been through many management and property changes and it has lately become sister property of Rockhouse, one of the icons of Negril. Knowing how Rockhouse is performing and how nice they turned the hotel (from the picture) I would bet it will be another success, for sure. This is why I have included this Skylark on the list even if I haven’t seen it personally. Please let me know how it’s like if you go. 🙂 I would love to hear your thoughts. 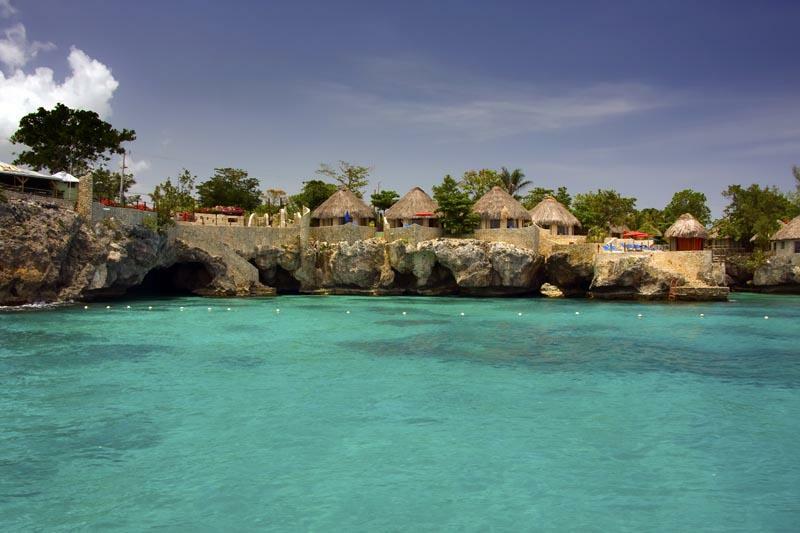 The Rockhouse is the iconic hotel of Negril, at least for me. It’s one of the most exclusive and you won’t find it on your favorite booking sites as they only accept direct bookings. The place is magic. The rooms are built from timber, volcanic rocks, and thatch and scattered around a lush garden, but overlooking the blue Caribbean sea in the heart of the West End area of Negril. The hotel is also very popular for its fine dining restaurant, where I used to go every now and then with friends. But it’s certainly ideal for a romantic dinner as well. If you are willing to splurge and looking for a blissful escape, this is definitely your best choice in Negril. 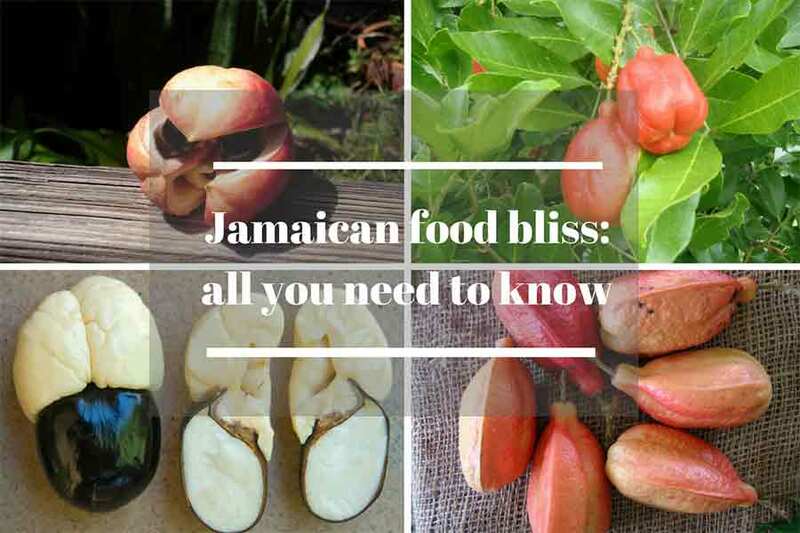 If you wish to read about all the Luxury properties in Jamaica, you will appreciate this article. Tensing Pen is another gem perched high atop the cliffs of Negril’s West End and nestled among a spectacular lush garden. The 10 private rooms offer the privacy you desire, in an elegant, but laid-back atmosphere. The restaurant and deck pool offer the perfect location for a sunset drink or for chilling all day long right in front of stunning views of the Caribbean sea. The Restaurant is also quite popular among locals but it’s never crowded thanks to their reservation system, so you can have your intimate dinner in tranquillity. One of the exquisite hotels among the Island Outpost group, owned by the popular music producer Chris Blackwell. Its unique style offers an exclusive private retreat, one of the favorites among Hollywood stars and entrepreneurs in search for a blissful break in Jamaica, far from the hustles and crowds. Each room has its own special theme and decorated with pieces of art and textiles from all over the world. Stoned decks are located along the cliff for your sunbathing and stairs offer access to the water. This is an all-inclusive property. I haven’t visited Catcha Falling Star, I am not sure why. But I have heard many good reviews so I wanted to include it too. It’s located at the far end of the West Coast, right before the so popular Rick’s cafe’. Like it’s valuable competitors, it offers lovely fine accommodations with rustic but cozy rooms either scattered around tropical gardens or, for the most sophisticated guest, right on the ocean, with huge terraces where to relax and enjoy the views in your own privacy. The restaurant is also very popular but you need to make a reservation if you are not staying at the hotel. When I visited this property it had a new owner and management. They were offering simple but nicely refurbished accommodation located in one building overlooking the ocean. The guests also enjoy a nice pool and sunbeds or they can easily access to the water from the stairs and platforms right by the hotel. They also have a bar and restaurant on property. The new luxury kid on the block. The West end was in need of an ultra-luxury property such as The Cliff Hotel. They open their doors a few years ago with stunning elegant spacious rooms with boasting high-quality white linen and mahogany furniture, the fine dining experience offers a fusion of local specialties and international flavors and guests are raving about the Spa services. I need to try this one, yet! The hotel is also popular as a wedding destination. Have a look at the pictures and you understand why. The manicured garden framed by the turquoise ocean certainly makes the perfect background for your wedding pictures. Last but not least, Idle Awhile Cliff is the tween sister of the Idle Awhile beach. Same class. Same service. Just on the cliff. Here also you have a choice between a simple room or a fully equipped villa. The elegant furniture and decoration and the pastel-colored walls will make your stay cozy and unforgettable. You can enjoy the waterfront pool or you can jump in the sea and use the man-made stairs to climb back up on the cliff. It’s certainly a private exclusive getaway. This list is amazing. 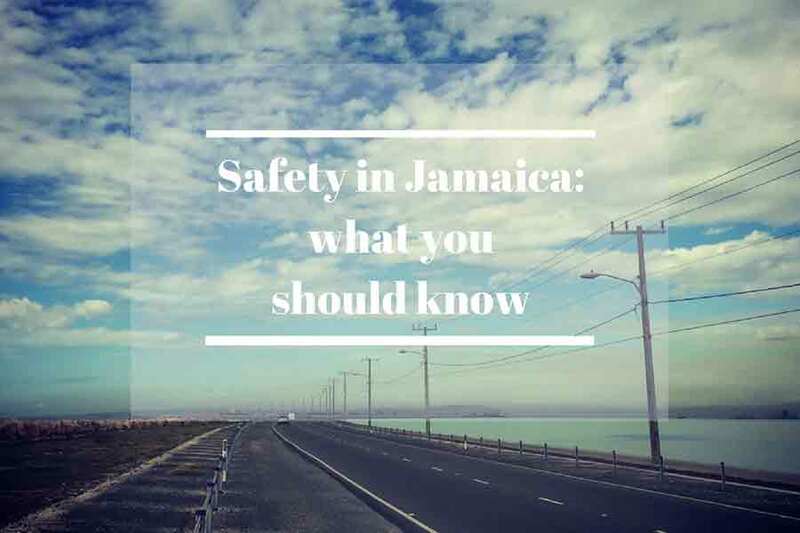 It would help so many people who have been planning their stays in Jamaica. Keep up the good work.